Indaily reports that South Australia is joining Elon Musk’s race to Mars program. The labor government that has created the worst economic circumstances since World War II is miraculously entertaining a role in the Space Industry. Tom Richardson reports on this latest surprise from South Australia. The Tesla and SpaceX founder was given a celebrity reception in South Australia this month when he was unveiled as the winning tenderer to build the world’s biggest lithium ion battery in the state’s mid-north. The arrangement appears to have a crossover benefit, with the entrepreneur reportedly telling delegates at a conference in Washington DC yesterday that he had “updated his long-term plan for colonizing Mars to make it more economically feasible [promising] to share his evolving ideas at a September conference in Australia”. The conference in question is the 68th International Astronautical Congress, to be run from September 25 to 29 at the Adelaide Convention Centre. 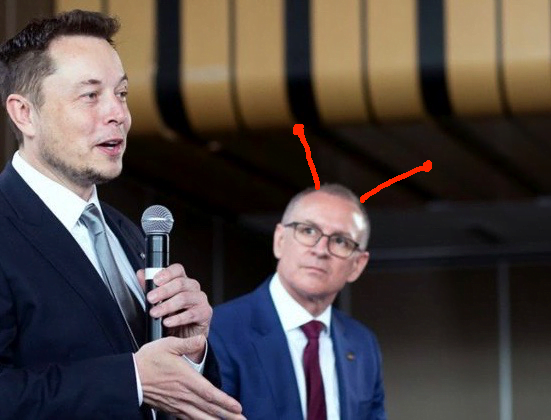 Defence Industries Minister Martin Hamilton-Smith said there were “confirmed delegates from Elon Musk’s SpaceX organisation – a group which designs, manufactures and launches advanced rockets and spacecraft”. Hamilton-Smith, who is currently interstate where he says he has spoken with influential academics from space science faculties, told InDaily confirmed registrations for the conference had already passed 2000, well ahead of the amount expected by organisers at this stage. “The final number of delegates is expected to reach 4000 – the biggest ever conference for Adelaide,” he said. Musk updated plans for the maiden launch of a new SpaceX rocket at a space station research conference on Thursday morning, Australian time, according to a report by the Associated Press. The Falcon Heavy flight, to be launched unmanned from the space hub at Cape Canaveral in Florida is risky and stands “a real good chance” of failure, the billionaire said. SpaceX reportedly plans to fly two paying customers to the moon late next year, using a Falcon Heavy. Musk said in response to a question that he hoped to be aboard one of his smaller Falcon rockets to the International Space Station “in maybe three or four years”. SpaceX, which currently uses a Dragon capsule to deliver supplies to the orbiting outpost, plans to transport NASA astronauts there using Falcon 9 rockets by the middle of next year. But it is his plans for a mission to Mars that garner the most intrigue, with Musk suggesting yesterday SpaceX will abandon plans to land a Dragon capsule on the red planet – which had been slated for as early as 2020, according to a report on TheVerge.com. The “Red Dragon” mission has hit a hurdle over the best way to land on Mars, Musk said, with the billionaire suggesting he had hit on “a far better approach” to the problem using “the next generation of SpaceX rockets and spacecraft”. That approach could be detailed in his next visit to SA, where he said he hoped to update his Mars colonisation plans.